Healthy Ears funding round now open! Healthy Ears - Better Hearing, Better Listening (HEBHBL) aims to improve the diagnosis, treatment and management of complex ear conditions that arise in Aboriginal and Torres Strait Islander children and youth (aged 0 – 21 years) by increasing access to multidisciplinary ear health services. Funding is able to provide reimbursement for travel, accommodation, meals, administration support, and facility fees. In exceptional circumstances private health professionals can apply for an absence from practice allowance and/or workforce support payment. Public health professionals are able to apply for backfill. For more information regarding service eligibility see the HEBHBL Fact Sheet and Service Delivery Standards. The funding round is now open until Friday 31 August 2018 12pm WST and applicants will be required to submit Service Application Forms for the period 1 January 2019 to 30 June 2022, with a Budget and Itinerary Form submitted for the period 1 January 2019 to 30 June 2019. Budgets for subsequent financial years will be reviewed as part of our annual review process. Current providers are required to reapply for services from 1 January 2019. To request an application pack, you must submit an online enquiry form on the Rural Health West website. Due to the timing of receipt of the contract, all current HEBHBL services have been continued for a six month transition period from 1 July 2018 to 31 December 2018. For any queries regarding the HEBHBL funding round and transition period, contact the Regional Services team via email or phone 08 6389 4500. Service providers are kindly reminded to enter known visit dates as soon as possible on to the Outreach Management System. This will ensure the Outreach Health Services Map is up-to-date and patients/local GPs are able to view when a specialist will be visiting their community. If you have any outstanding outreach Service Activity Reports for last financial year they must be entered on the Outreach Management System before Friday 31 August 2018. If providers fail to enter the reports prior to this date, visits costs cannot be recouped. Derbarl Yerrigan Health Service is currently recruiting a physician - cardiology and physician - respiratory to provide outreach services at their East Perth facility. If you are interested and would like more information, please contact Suzanne Taylor, Clinical Operations Manager via email or phone 08 9421 3859. The annual Rural Health West specialist survey is being distributed to all visiting and resident medical specialists in regional, rural and remote communities across Western Australia. Data collected from the survey enables Rural Health West to improve our understanding of the level of specialist services provided to communities. We present comprehensive and accurate data to the Australian Government to ensure we can progress future service planning and continue to provide regions and health professionals with support services. Thank you to all those who have already completed their annual survey. If you haven’t completed yours, it’s not too late! Please direct any questions enquiries or completed surveys to database@ruralhealthwest.com.au. Rural Health West will be hosting a two day education forum for GP anaesthetists. This will include lectures, small problem based discussions, simulation and skills stations happening concurrently over the weekend facilitated by experienced specialists. It will also be an opportunity to catch up and develop networks with fellow GP anaesthetists and colleagues. In addition to upskilling and education activities/resources, the registration fee will include lunch and refreshments, a sundowner event and accreditation for RACGP and ACRRM CPD points. Travel grants may be available for GP anaesthetists living and working in rural Western Australia. Further information on the event is available here. Registrations will be opening shortly. To register your interest, please email the Events team. 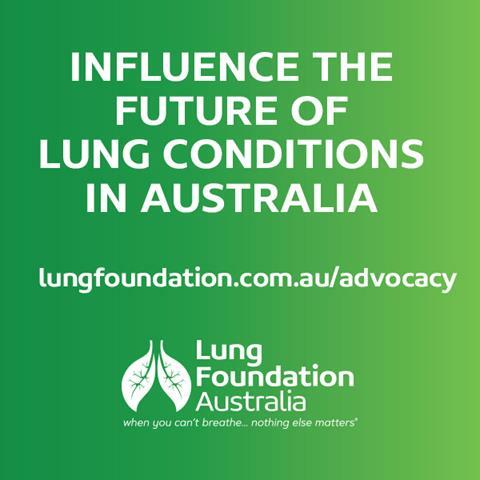 Lung Foundation Australia is developing the first National Strategic Action Plan for Lung Conditions through funding from the Australian Government Department of Health. It will influence future decision making and resource allocation to improve the lives of all Australians through better lung health. The survey will close on Sunday 12 August and a summary of the results will be published on Lung Foundation Australia’s website. My Health Record is a secure online summary of patients information such as shared health summaries, discharge summaries, prescription and dispense records, pathology reports and diagnostic imaging reports. If individuals decide that they do not want a My Health Record created on their behalf, there is an opt out option available from 16 July 2018 to 15 October 2018. For any queries, phone the My Health Record Help line on 1800 723 471. 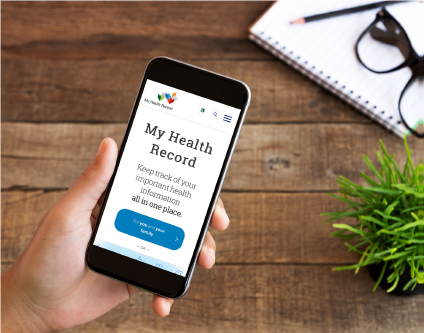 Rural Health West strongly encourage all providers to visit the My Health Record website, review potential benefits personally or in practice, and take advantage of the “Getting Started” information provided by the Australian Government. This email is for the intended recipient(s) only. If you have received this email in error, please contact Rural Health West immediately.